Will a soon-to-be-former congressman, with an unremarkable legislative record and a Senate campaign loss, upend their best-laid plans? 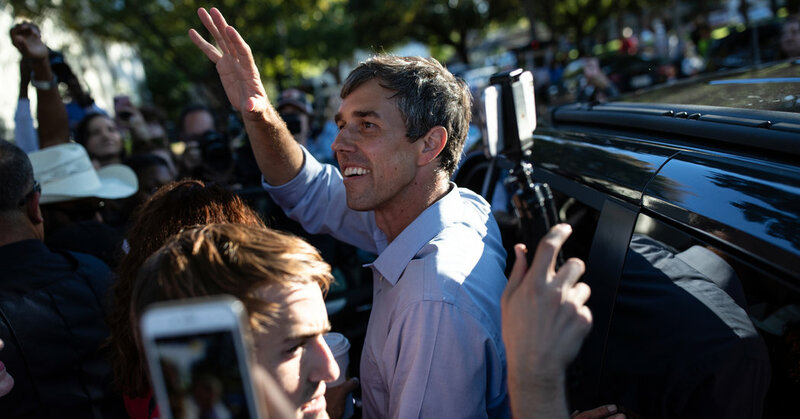 Representative Beto O’Rourke of Texas has emerged as the wild card of the presidential campaign-in-waiting for a Democratic Party that lacks a clear 2020 front-runner. 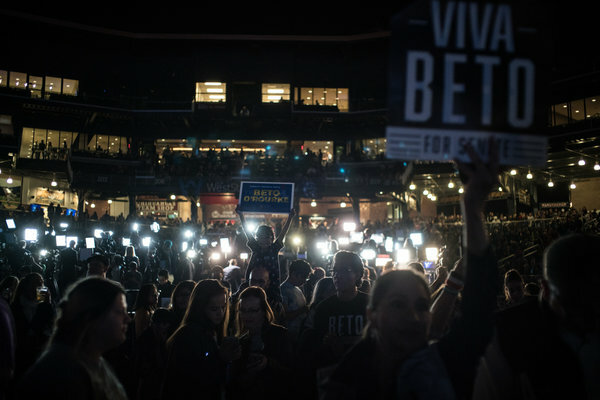 After a star-making turn in his close race against Senator Ted Cruz, Mr. O’Rourke is increasingly serious about a 2020 run — a development that is rousing activists in early-voting states, leading veterans of former President Barack Obama’s political operation (and Mr. Obama himself) to offer their counsel and hampering would-be rivals who are scrambling to lock down influential supporters and strategists as future campaign staff. Advisers to other prospective Democratic candidates for 2020 acknowledge that Mr. O’Rourke is worthy of their concern. His record-setting success with small donors would test the grass-roots strength of progressives like Senators Elizabeth Warren of Massachusetts and Bernie Sanders of Vermont. His sometimes saccharine call to summon the nation’s better angels would compete with the likely pitch of Senator Cory Booker of New Jersey. And his appeal to some former Obama advisers — and, potentially, his electoral coalition of young people, women and often infrequent voters — could complicate a possible run for former Vice President Joseph R. Biden Jr., who would aim to win back many of his former boss’s constituencies. But the fact that Mr. O’Rourke is even considering a run speaks to uncertainty in the Democratic Party, as broad and simmering opposition to President Trump is colliding with crosscurrents of gender, race, ideology and age within its ranks. With the unceremonious exit of the Clintons, Mr. Obama’s minimal appetite for party politics and the regret in some quarters about the 2016 primary coronation of Hillary Clinton, there are no obvious kingmakers in the party, nor many early calls for establishment intervention in the 2020 primary. As its House-flipping midterm formula made clear, the party now absorbs an array of voters, from ardent socialists to disaffected Republicans, across generational and ideological lines. And given that some three dozen Democrats are considering presidential campaigns, the primary field could end up so crowded that the vote gets diluted — a phenomenon that helped Mr. Trump edge ahead of the large Republican pack in 2016. As he and a small team of aides weigh the merits of a campaign, Mr. O’Rourke, 46, has focused largely on whether he could run the kind of race he did in Texas — barnstorming towns with a liberal message and a perpetual social media live-stream, talking up his disdain for pollsters and super PACs and staking his bid on a personal connection with voters as much as any issue platform. There are several questions Mr. O’Rourke is considering aloud, a person close to him said: Could he build a full-scale national campaign without losing the down-home feel that powered his Senate bid, when fans tracked his 254-county tour of Texas (down to the four-hour drives and late-night burger runs) on a near-constant video feed? Would a hope-and-change chorus find an audience in a primary with other Democrats — and without an easy Republican foil like Mr. Cruz? Yet Mr. O’Rourke also plainly recognizes two truths about politics in the age of Mr. Trump: Traditional qualifications to lead the country do not necessarily matter much, particularly if a candidate can channel the kind of enthusiasm that Mr. O’Rourke earned in a news media environment that prizes viral moments. And politicians rarely get shinier over time; his best shot at the White House, if recent history is a guide, may be this one. At the same time, Mr. O’Rourke’s flirtation is dividing some liberals who wonder if a white man with his résumé and biography is the best fit for this moment, just after the party recaptured the House, in large measure, on the strength of female and nonwhite candidates. Other Democrats eyeing 2020 have said little about Mr. O’Rourke, as is customary with a possible rival in a race that has not begun. But several of their advisers said Mr. O’Rourke’s popularity with donors and activists was undeniable and could create early momentum in key states, his prospects buoyed by a Trump-level command of social media and a talent for making the generically progressive sound inspirational. Like Mr. Obama as he entered the 2008 campaign, Mr. O’Rourke can be difficult to place on an ideological spectrum, allowing supporters to project their own politics onto a messaging palette of national unity and common ground — and concerning some activists on the left who worry that voters are valuing the wrong qualities. 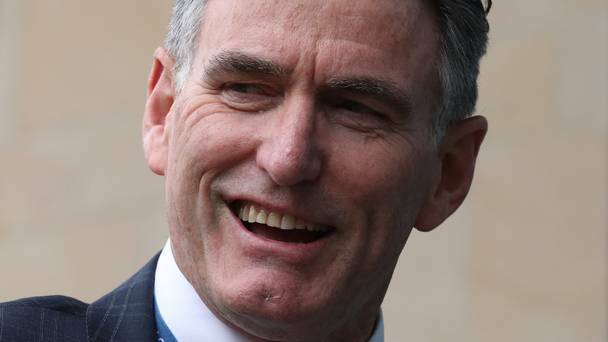 In public, Mr. O’Rourke, who declined to be interviewed, has said only that he is not ruling anything out. In private, Mr. O’Rourke is doing little to discourage his suitors. When one well-connected Democrat asked Mr. O’Rourke what to tell operatives who hope to work for him, the congressman said to have them contact him on his cellphone, according to a party official directly familiar with the exchange. In recent weeks, Mr. O’Rourke has spoken with a leading Democratic fund-raiser about the financial demands of a presidential bid. He met with Mr. Obama shortly after the midterms, as The Washington Post first reported. Mr. Obama told Mr. O’Rourke he was impressed with the congressman’s show-up-everywhere Senate run, according to a person familiar with the conversation. The former president has publicly compared this approach to his own. Mr. O’Rourke’s camp has also been in contact with several members of the extended Obama orbit, and the congressman’s chief of staff and de facto chief strategist, David Wysong, has reached out to a variety of Democratic consultants to ask about how to organize a run. From his Senate race, Mr. O’Rourke has also already built a 50-state list of supporters that could form the foundation of a sprawling volunteer network. Jeff Link, a longtime Iowa Democratic strategist, said Mr. O’Rourke’s odometer-pushing campaign style would be a natural fit in a state where politicians crow about touching down in all 99 counties. “If he comes to Des Moines and does a big event in the evening, he should think about the Knapp Center at Drake as opposed to a party room in a restaurant,” Mr. Link said, referring to a 7,152-seat college basketball arena. The chief obstacle to a run, according to the person close to Mr. O’Rourke, is family considerations, after two years of taxing travel across his home state. He lives in El Paso with his wife, Amy, and three school-age children. Perhaps more significant to his chances, the ascendant role of nonwhite voters in the party, paired with the backlash to Mr. Trump’s weaponizing of race and gender, has raised doubts among some Democrats that a white male candidate can win the nomination. And the mere fact that Mr. O’Rourke, and not Stacey Abrams or Andrew Gillum, is the near miss candidate of 2018 who is being beckoned most forcefully toward the White House has bothered some Democrats. They note that Ms. Abrams and Mr. Gillum came closer to winning their races for governor in Georgia and Florida than Mr. O’Rourke did in his Senate bid. It has also not gone unnoticed that many of Mr. O’Rourke’s most vocal boosters from Mr. Obama’s circle are men. Unlike Mr. Obama just before 2008 — a sitting senator for whom no office but the presidency loomed as a plausible next step — Mr. O’Rourke has been urged at times to run again back home. Some Texas Democrats are hoping he tries another Senate race in 2020 or seeks the governorship in 2022. But there are limits to Mr. O’Rourke’s appeal, of course: Mr. Obama performed better in some rural Texas counties in 2012 than Mr. O’Rourke did in 2018. “I’d love for him to double down on what he just created and build on that,” said Amber Mostyn, a Houston-based donor. If nothing else, Mr. Sellers suggested, the debate over a white man’s viability in today’s Democratic Party is a sign of the times.